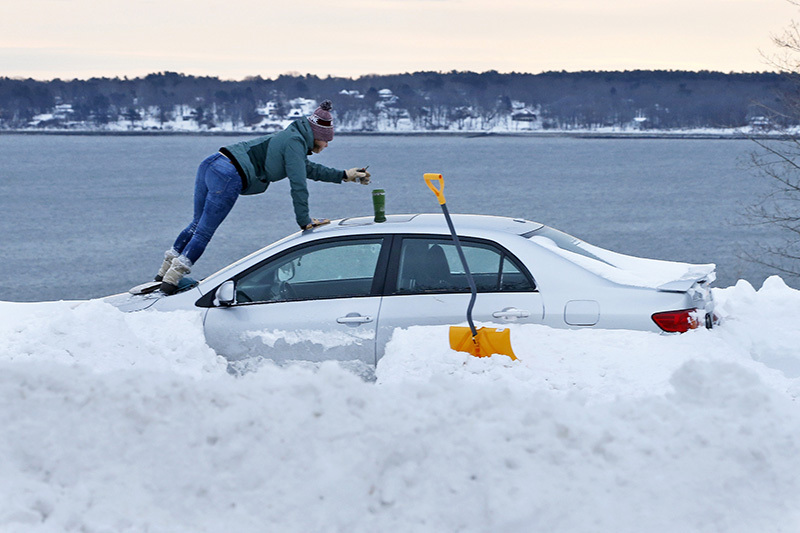 Erica Givetz of Portland grabs her coffee mug during a short break from digging out her car Friday morning on Cutter Street in Portland. 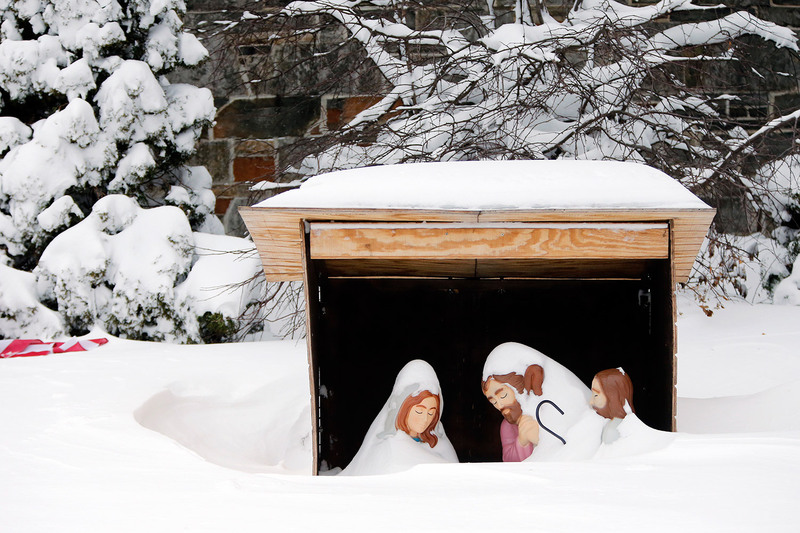 The figures of Mary and Joseph are nearly all that are visible of a Nativity scene at St. Paul's Church on Congress Street on Friday, a day after a major winter storm. Moe Blanchard, a sexton at First Parish Unitarian Universalist Church on Congress Street in Portland, uses a snowblower to clear the church walkways on Friday after a major storm blew through. 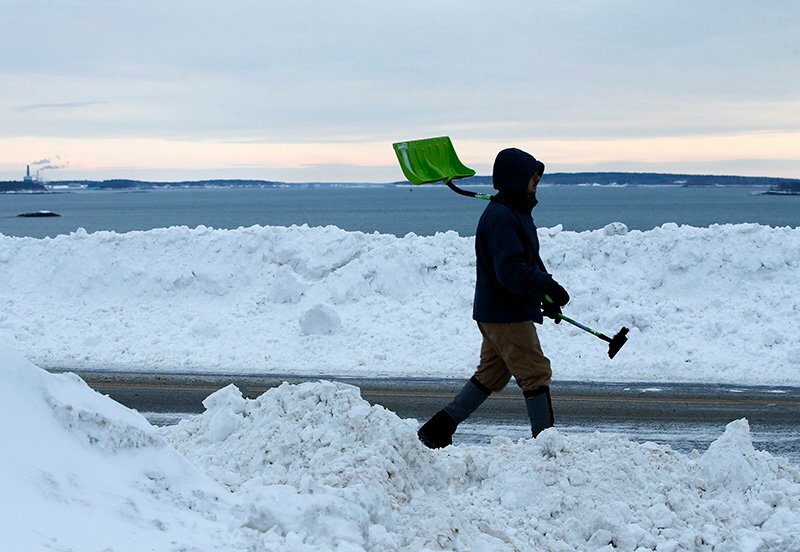 Jay Lombard, left, of Portland hauls a chunk of snow away from his car Friday morning on Cutter Street. 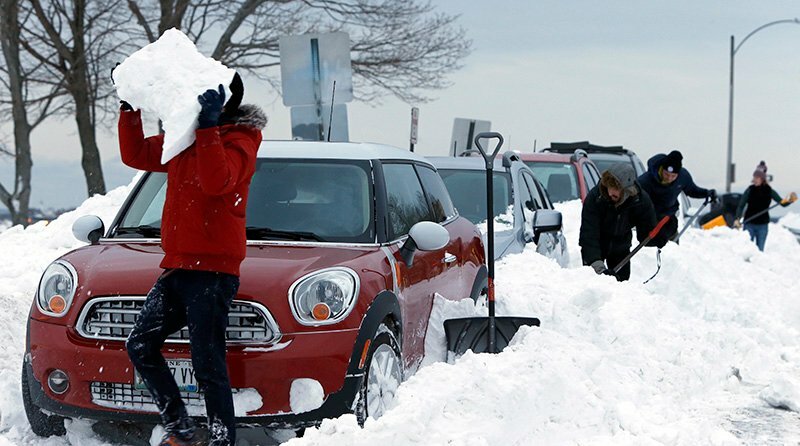 Lombard was among dozens of people who had parked on the street -- a haven during citywide parking bans. 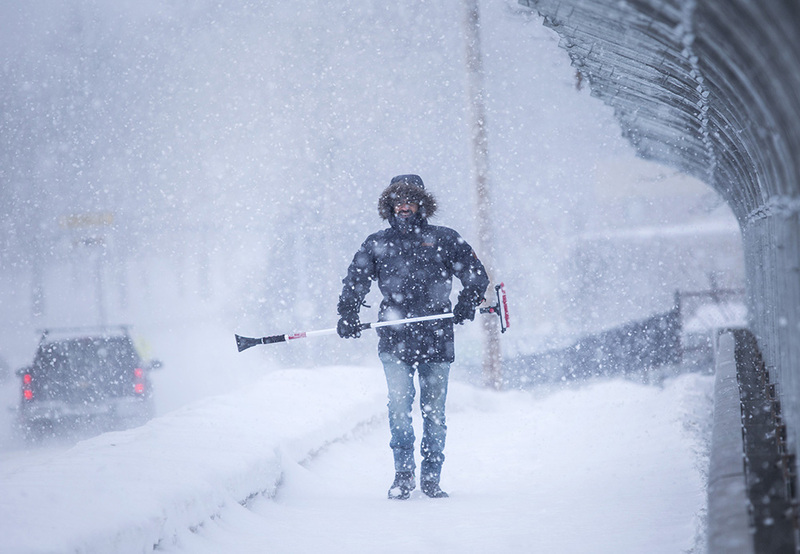 Ben Francis of Portland carries a snow shovel and ice scraper toward his car parked on Cutter Street. 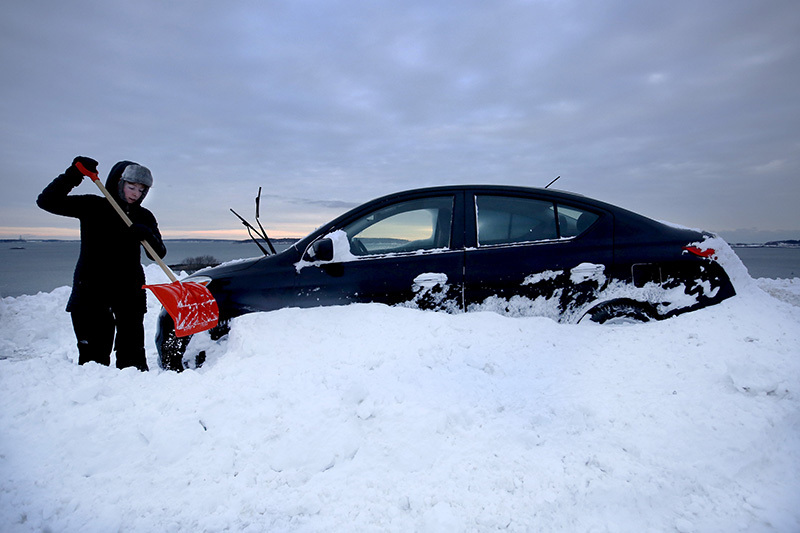 Ashlee Lombard of Portland digs out her car Friday morning on Cutter Street. 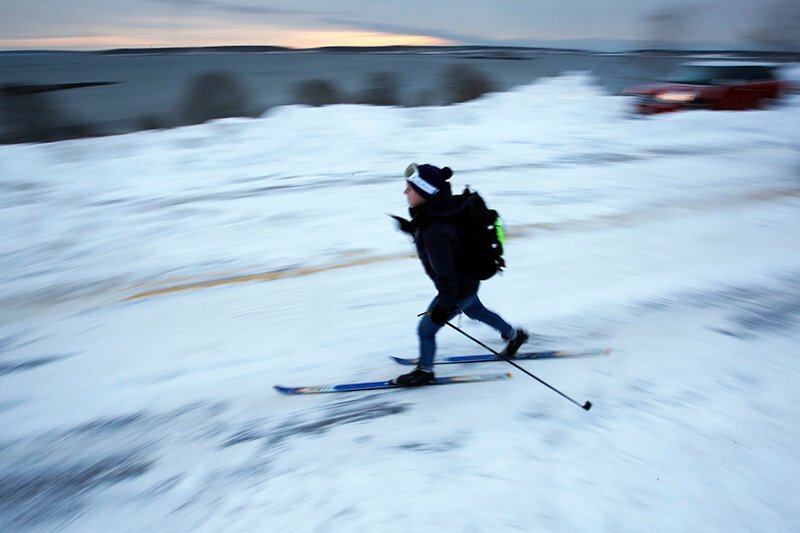 Katie Wood of Portland skis down Cutter Street Friday morning. 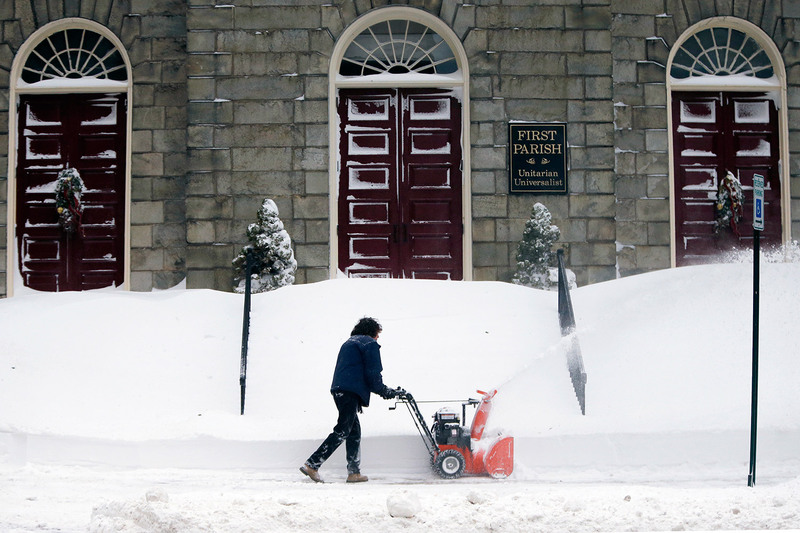 Wood, among dozens of others, had parked on the street Thursday night during the citywide parking ban.  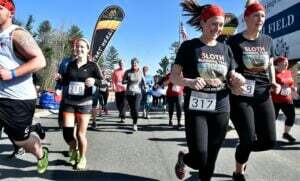 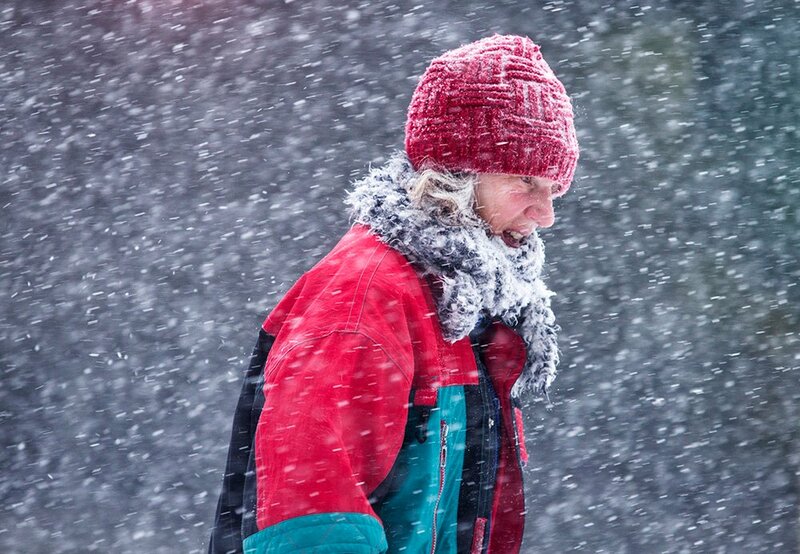 Wood said she went cross-country skiing during the blizzard Thursday night after parking her car. 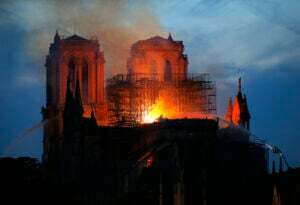 "It was really intense," she said. 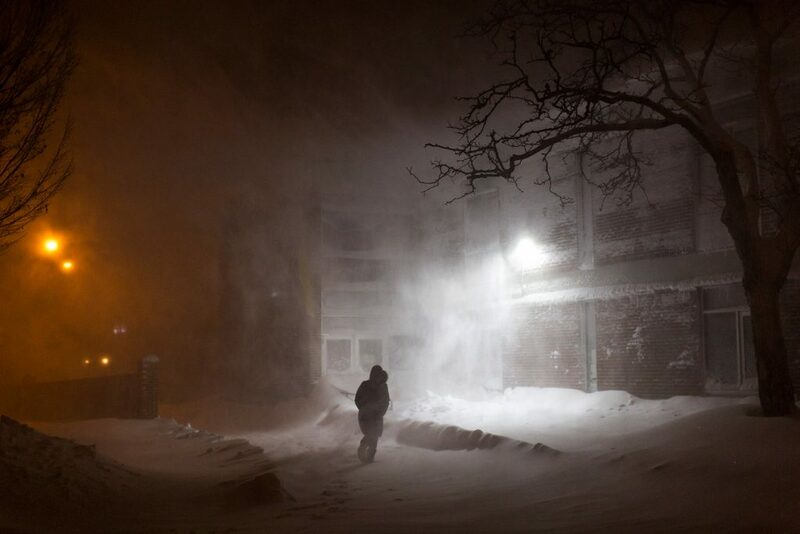 A person walks through the Reiche School courtyard Thursday night as a gust of wind kicks up clouds of snow. 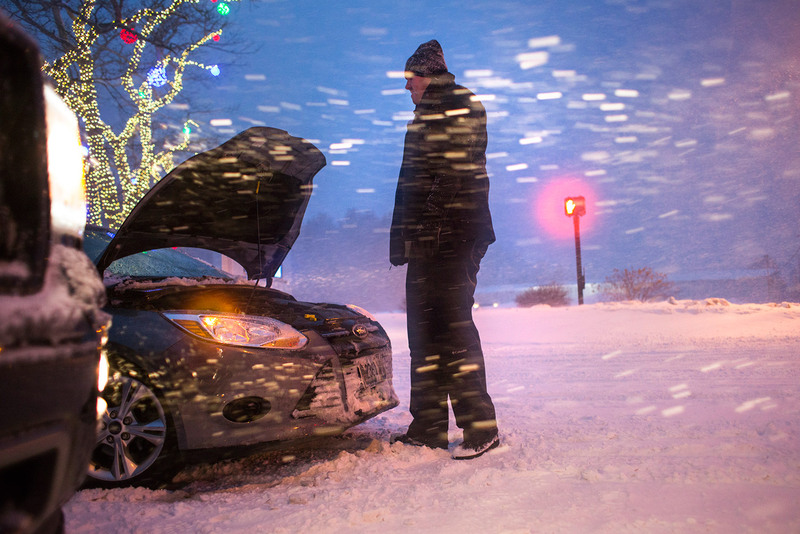 Mark Flavin, of Old Orchard Beach, stops to help a motorist whose car stalled and became stranded in the middle of Route 1 in Saco at about 4:30 p.m. Thursday while blizzard conditions gripped the area. 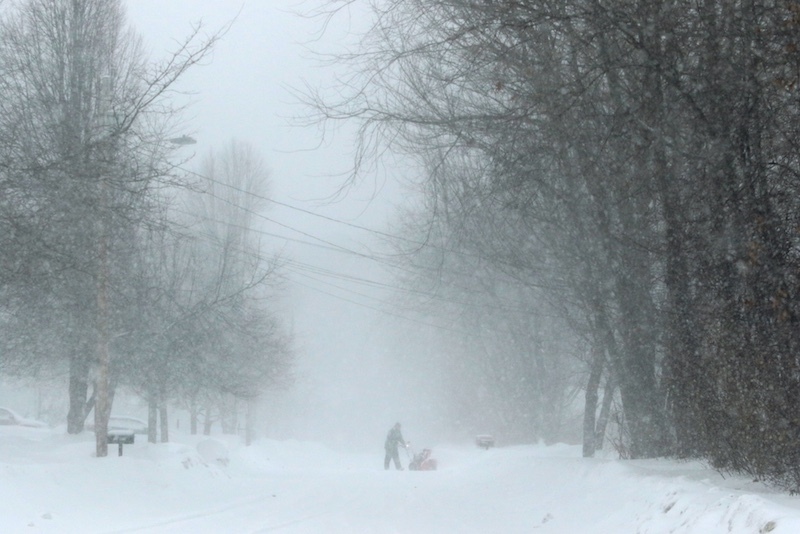 Visibility is limited as two people walk along Main Street in Biddeford while a storm pounds Maine with blizzard conditions Thursday. 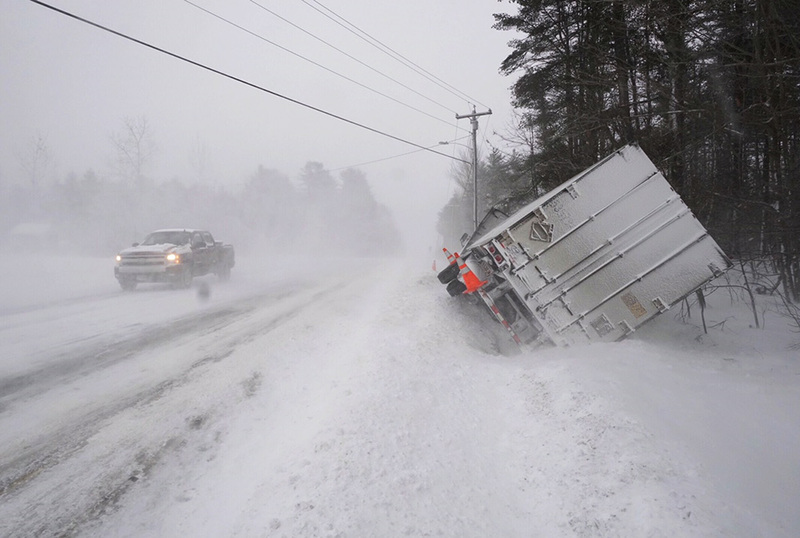 Blowing snow partially obscures a pickup truck driving past a tractor-trailer that went off the road on Route 5 in Saco on Thursday. 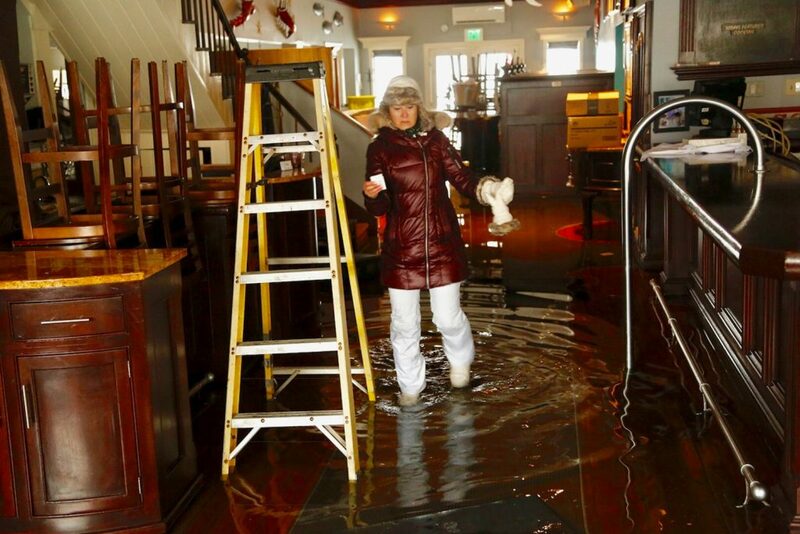 Photo taken at 12:19 p.m.
Luanne MacDonald, owner of the Hurricane Restaurant in Dock Square, Kennebunkport, near the Kennebunk River, takes a photo of the flooding in her restaurant during high tide on Thursday. 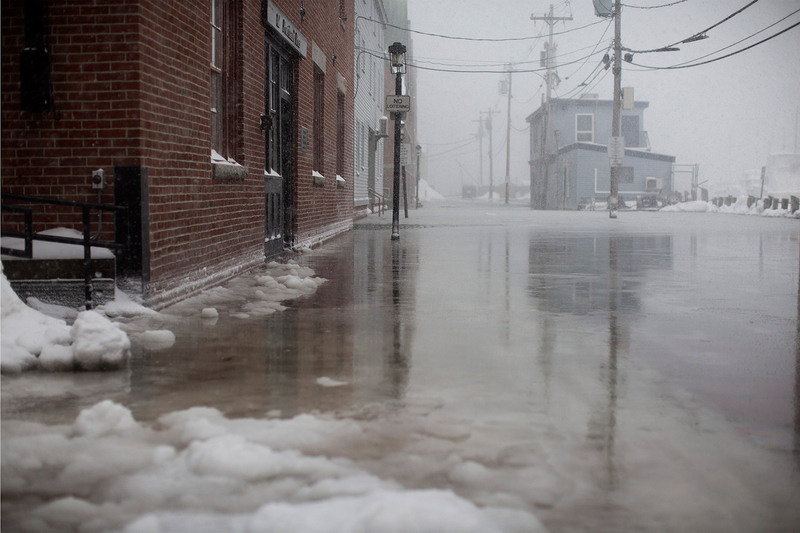 The occupants of a car stalled in tidal flooding on Western Ave in Lower Village, Kennebunk wait for help at the edge of the flooding. 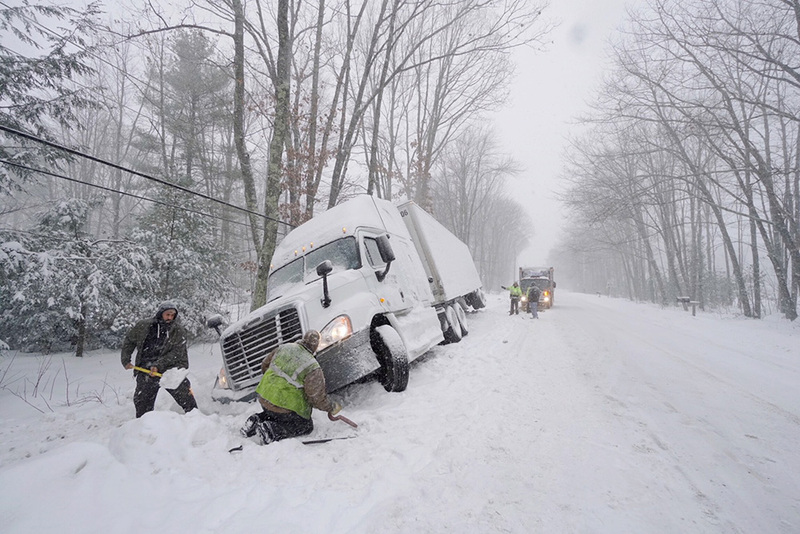 Greg Campbell, left, digs out the front of his tractor-trailer while Keith Proctor of Ray’s Truck Service tries to fix a tow hook to it in on Route 35 in Lyman late Thursday morning. 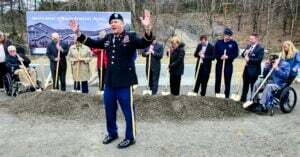 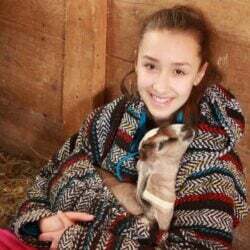 Campbell said he was driving on the far right side of the road to make room for oncoming traffic when the truck foundered in heavy snow on the shoulder. 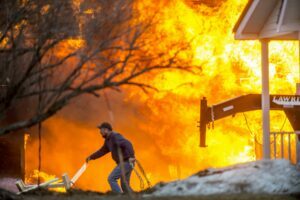 Campbell was hauling water from the Poland Spring Bottling plant in Hollis and trying to get to the Maine Turnpike rest area in Kennebunk. A vehicle drives through high water caused by tidal flooding at Dock Square in Kennebunkport just after high tide during Thursday’s storm. 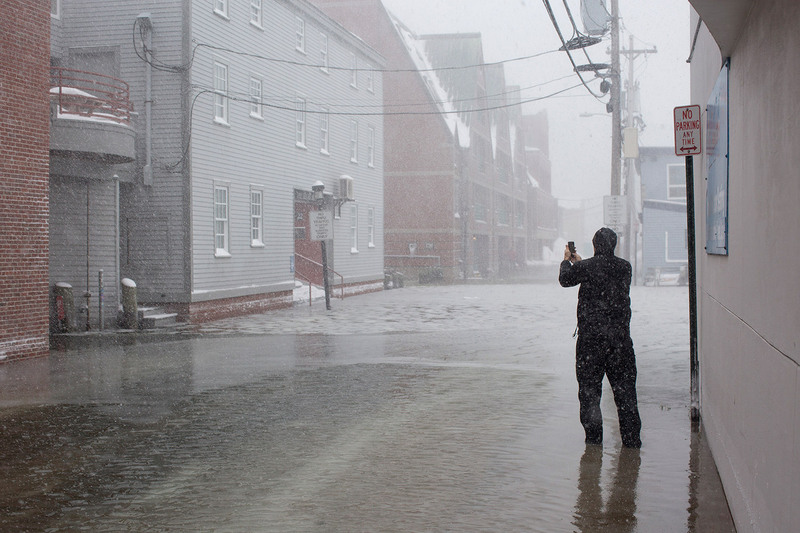 A man takes a photo of flooding at the Portland Pier just after 1 p.m. Thursday. 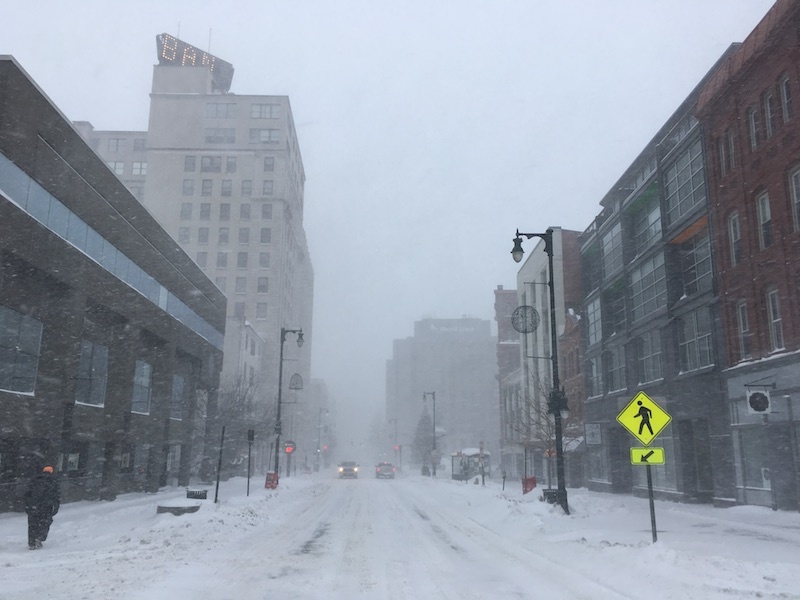 Congress Street in Portland at 1:30 p.m. on Thursday. 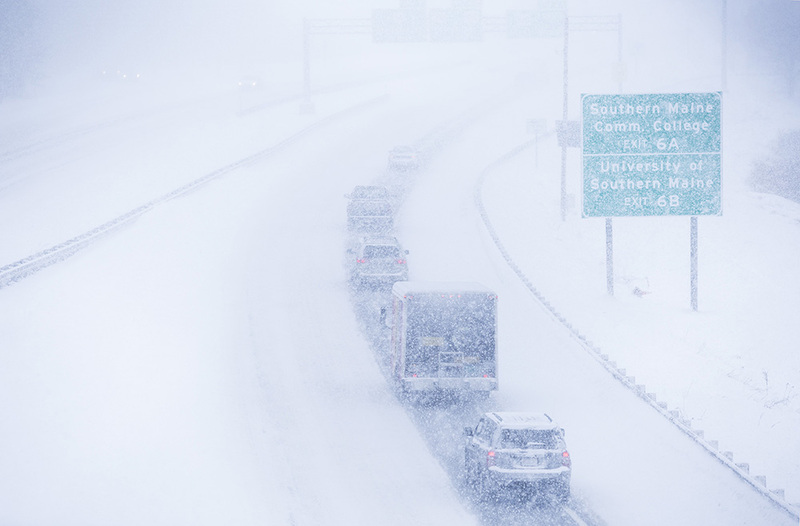 Intense snowfall reduces northbound traffic to a single lane near exits 6A and 6B on I-295 in Portland around 10:30 a.m. Thursday. 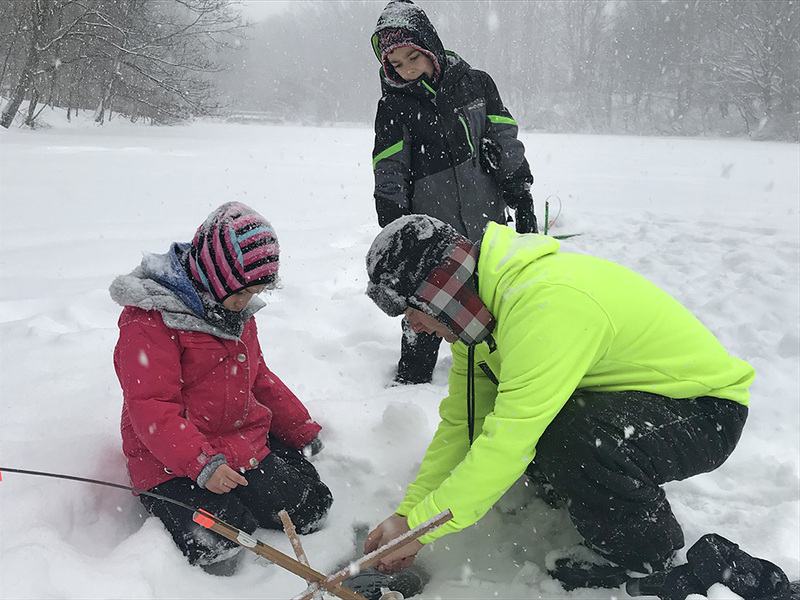 Keith Stinson of South Portland checks ice fishing lines with his 7-year-old daughter, Jordyn, left, and son Devin, 9, at Hinckley Park Thursday. 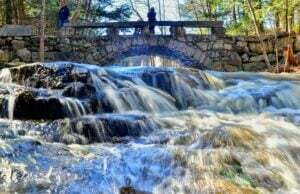 Unfortunately, the fish slipped the line. 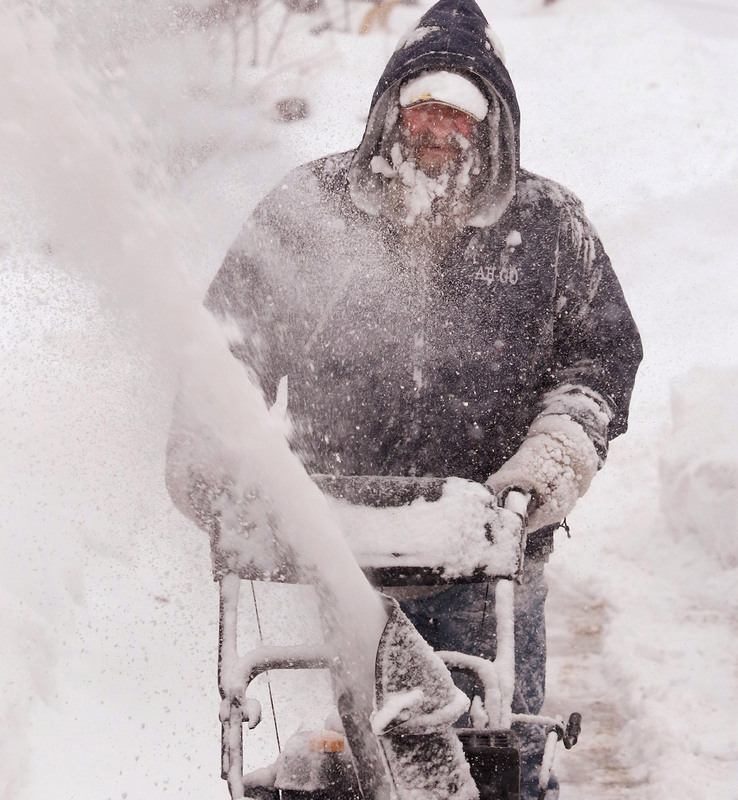 A man turns his snow blower in the middle of Oakwood Drive in Saco while clearing his driveway on Thursday. 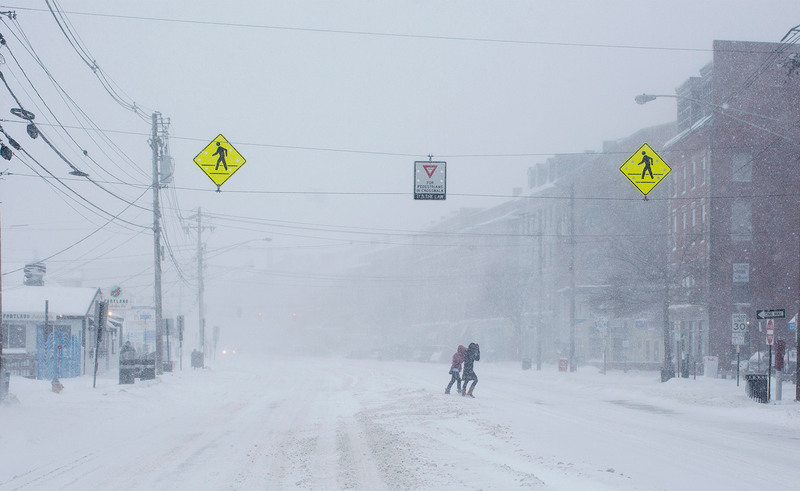 Two people cross a nearly empty Commercial Street in Portland just after 1 p.m. Thursday. 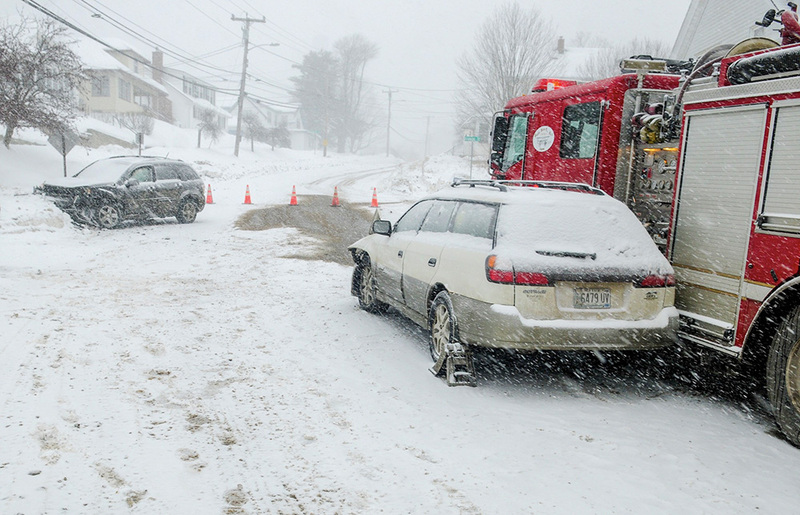 Police say 1 person was injured and taken to the hospital after a car slid into an Augusta Fire Department truck Thursday morning on Northern Avenue in Augusta. 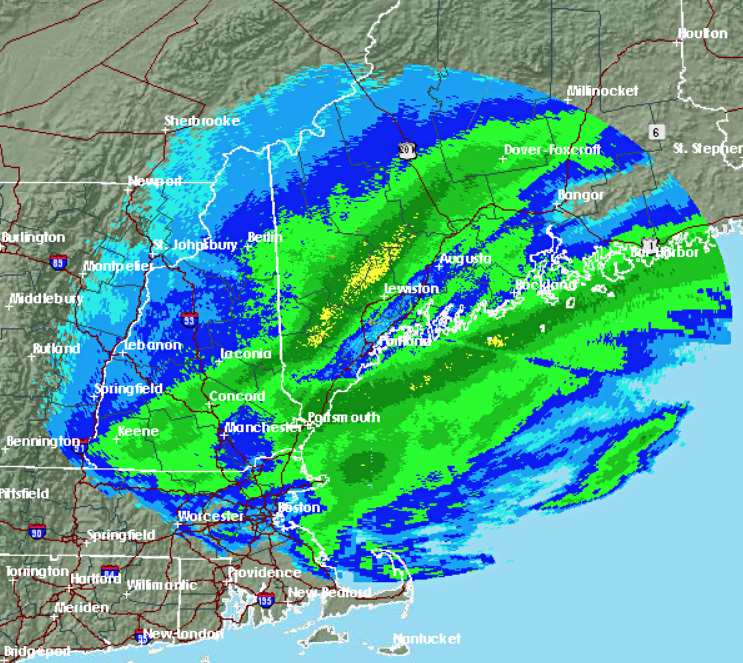 In this radar image posted by the National Weather Service at 12:14 p.m. Thursday, the storm had 2 main prongs with the most intense wind and snowfall occurring in yellow areas, followed by dark greens. 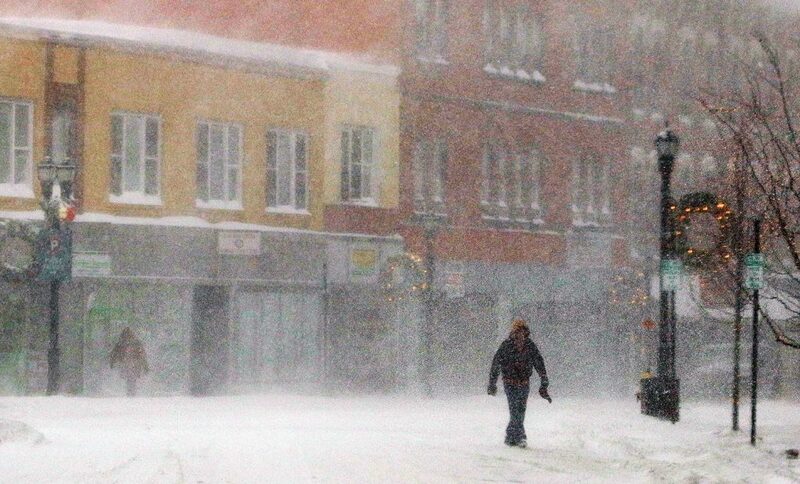 Elizabeth Smith walks along Fore Street in Portland on her way to work in near whiteout conditions on Thursday. 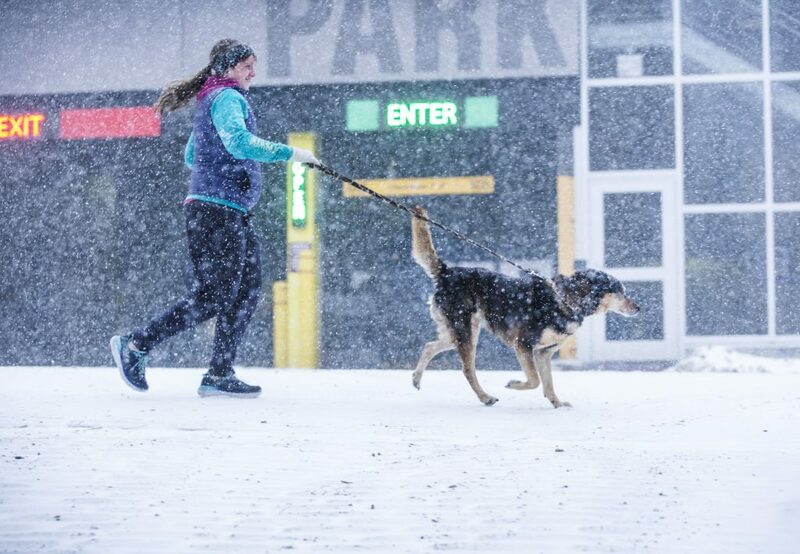 Erin Abraham runs with her dog, Kaylee, on Fore Street in Portland Thursday morning. After parking his car in the lot at Fitzpatrick Stadium, Kris Talluto walks along Deering Avenue in heavy snowfall mid-morning Thursday. 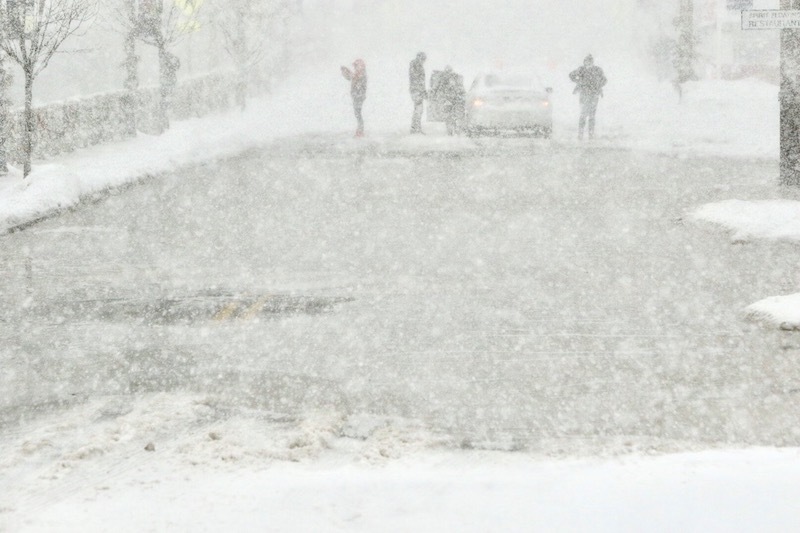 A citywide street parking ban was in effect for the day. 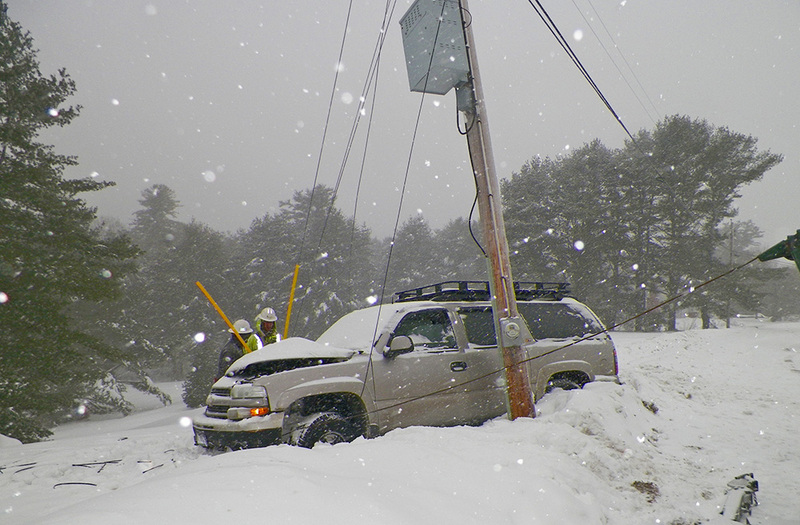 A car crash on Town Farm Road in Sidney Thursday morning brought utility lines down across a vehicle, trapping the driver inside for about an hour. 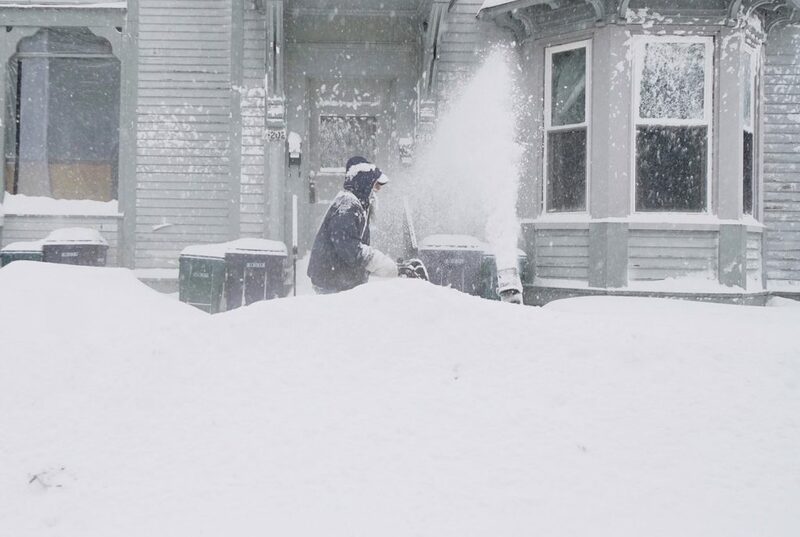 Bob Labbe uses a snowblower to clear a sidewalk in front of his Biddeford apartment building on Thursday as snow continues to fall just before 2 p.m.
Bob Labbe uses a snowblower to clear snow from a sidewalk in front of an apartment building on Mt. Vernon Street in Biddeford on Thursday. 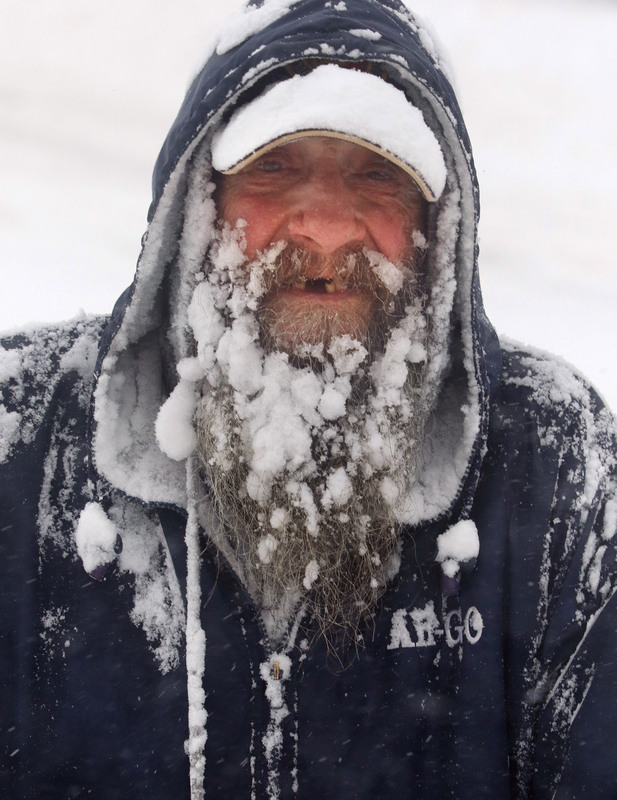 Bob Labbe's beard is coated with snow and ice while he uses a snowblower on Mt. 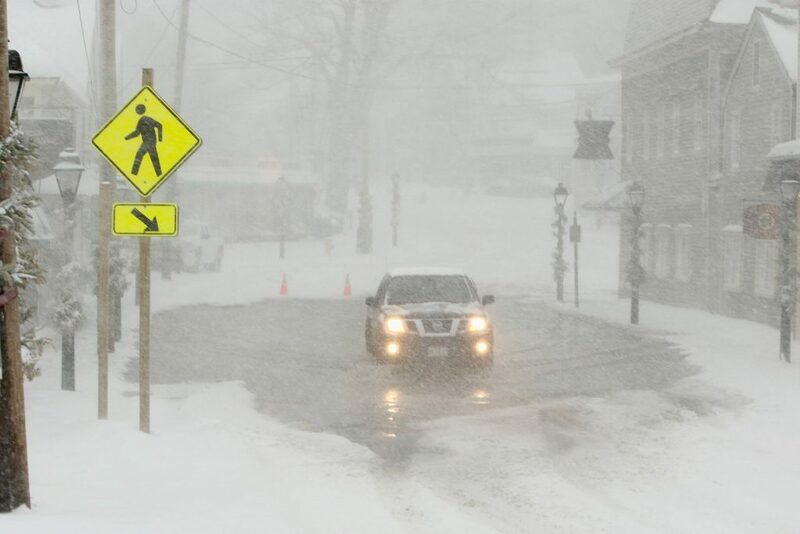 Vernon Street in Biddeford on Thursday. 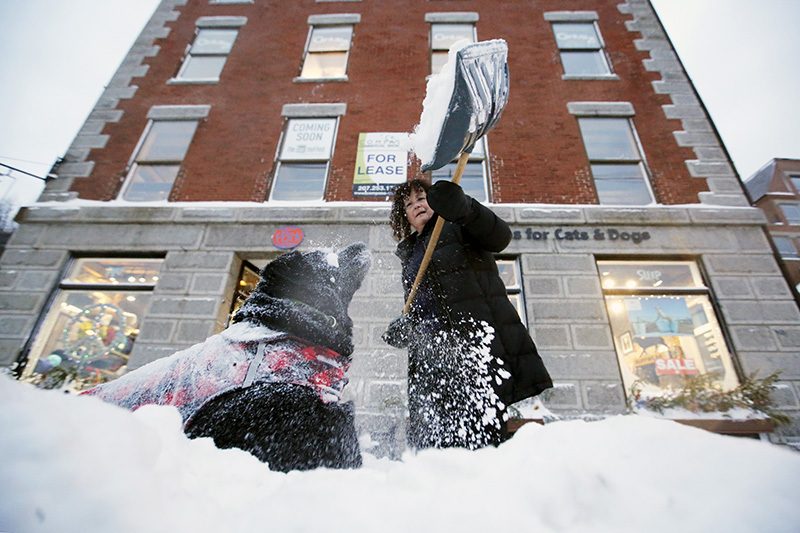 Otter, a retriever and lab mix, awaits another shovelful of snow as Tracy Tingley, manager of Fish & Bone pet shop digs out Friday on Commercial Street.